With so many of us spending longer, more stressful days at the office or juggling our daily family responsibilities, the opportunity to enjoy some relaxing moments of peace and quiet at home is becoming almost a luxury—one that we want to enjoy to the fullest. That is why so many homeowners are designing master bedroom suites with the goal of creating an in-home escape from the stress and hectic pace of our daily routines. Exactly what that home retreat may look like will vary greatly from one person to another. For many people, it’s the extra parts of the suite that are the real attraction. For example, a steam shower may be just the thing that helps you recover from the day. Other people may get through the workday by focusing on the promise of spending time enjoying a good book in their reading nook. Still others may find relaxation at the prospect of escaping to their walk-in closet. Whatever your idea of the perfect in-home escape may be, we can bring it to life. 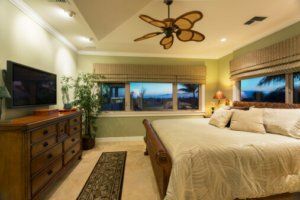 Republic West Remodeling has created amazing master bedroom designs that are perfectly tailored to the homeowners’ goals and preferences. Let use create the master bedroom suite that offers you that much-needed escape in your own home.